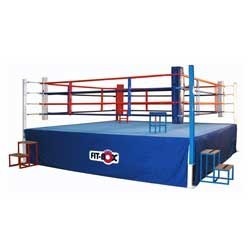 We offer a wide range of the Boxing Ring to our clients. Ropes are fully adjustable and cover with the finest quality fabric. Corner cushions covers are made of PVC coated fabric and filled with extra durable dense foam for better protection. These are obtained in different dimensions and can avail these at cost effective prices.